DISCOVER IF YOU ARE OWED COMPENSATION? You may be entitled to monetary compensation for: medical expenses, lost wages, pain and suffering, emotional trauma, property damage, future medical treatment, etc.. DISCOVER IF YOU ARE OWED COMPENSATION? You may be entitled to monetary compensation for: medical expenses, lost wages, pain and suffering, emotional trauma, property damage, future medical treatment, etc..
California imposes a strict statute of limitations on personal injury cases. If you or a family member has suffered an injury due to someone else’s negligence, you have two years to file suit. It is important to contact an experienced California personal injury attorney as soon as possible for help determining the viability of your case. A qualified California workers compensation lawyer can help ensure you obtain the benefits you deserve. 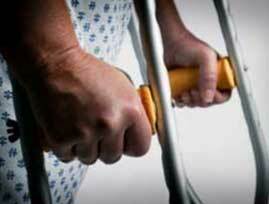 In addition to standard workers comp cases, we also represent injured workers in third-party cases. So, if your on-the-job injury was caused by a negligent third party — not a co-worker or your company — we are prepared to represent you. If you or a loved one has suffered an injury, an experienced California personal injury lawyer can help. Call our office at 619.239.9750 or toll-free at 866.959.7534 or contact us online for assistance. We look forward to speaking with you. Se habla español. I was in a car accident and the person that caused it ended up being under-insured and had medical bills that needed to be paid, so I decided to get an attorney. After talking to several of them (some of them didn't even return my call) I talked to Randy, recommended by a coworker, I even had a legal plan @ work, but it seemed like the atty. from my legal plan didn't think my case was "worth his time". Randy was so much better than them, took his time listening to me and explaining everything AND got me a great settlement! He is just great!